Oh how the summer starts to seem shorter in July. I suppose our move at the end of June didn't help with that much. But there is still sunshine and peace to enjoy, if I take the time to find it. 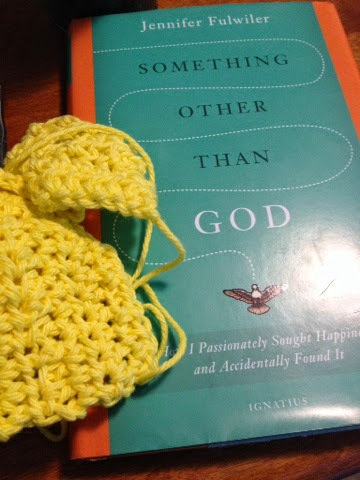 So far, I've been finding a decent amount of time for my crocheting, which has taken several different forms. 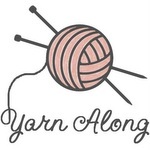 In trying to minimize my stash, I have pulled out a ball of cotton yarn after finishing big projects. 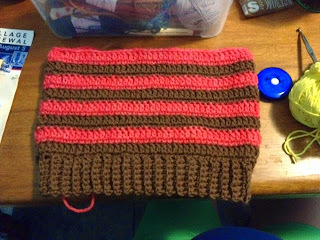 In as little time as possible, I try to finish as many dishcloths as possible. Above is my 4th with this bright yellow yarn. 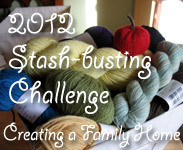 I'm participating in a Rav group's "Epic Summer Stashdown" and find that just getting one ball of yarn out of the closet is really helpful for me. However, I'm not entirely ignoring other projects. I've been working on a baby sweater as a test pattern, and finally sat down again to put more time into it. 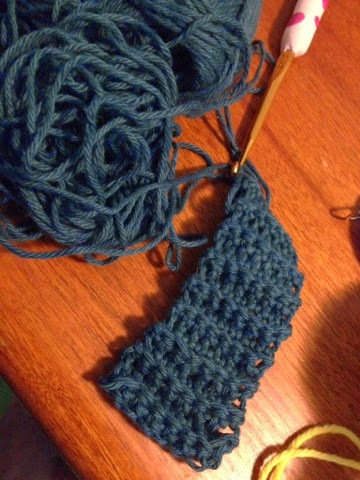 It is quite a quick pattern, when I am actually paying attention and working on it. It helps that I am working on it in worsted weight wool, but still a straightforward pattern. For comparison purposes (and because I wanted to make two baby sweaters), I started a second sweater in DK yarn. This second sweater is in CotLin, which my last project (Hexy shawl) was made out of. I really enjoyed working with it, and wanted more. From my first photo, you can tell I've jumped on the bandwagon and started reading Something Other Than God by Jennifer Fulwiler. I absolutely love this book and cannot recommend it enough!! It's honest and insightful and so much fun to read! I really have not been able to put it down, which is a joy for me, especially after trying several books that I just didn't like.